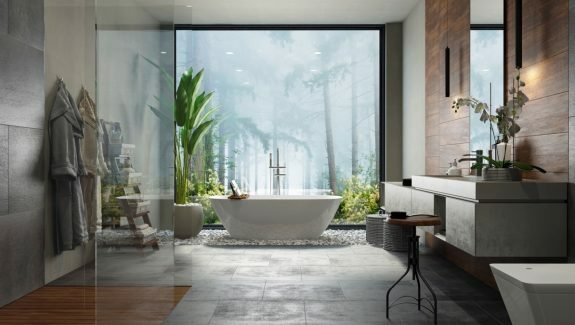 What could be more relaxing than a nice long soak? The answer: soaking in a tub that looks as good as it feels! When it comes time to unwind, slipping into those shimmering suds feels like a mini-vacation. And compared to hitting the spa for some well-deserved "me time", a luxurious tub is an indulgence that pays for itself time and time again. 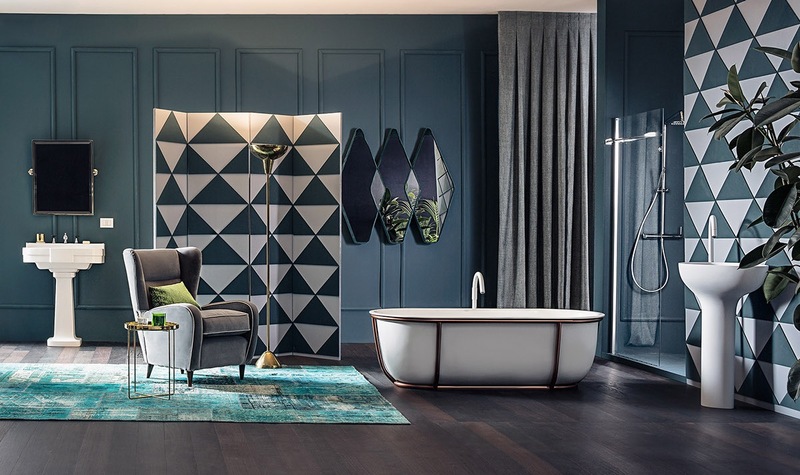 Whether you're looking for the latest features or just want something that fits your carefully coordinated decor, this curated collection of designer bathtubs is sure to inspire. 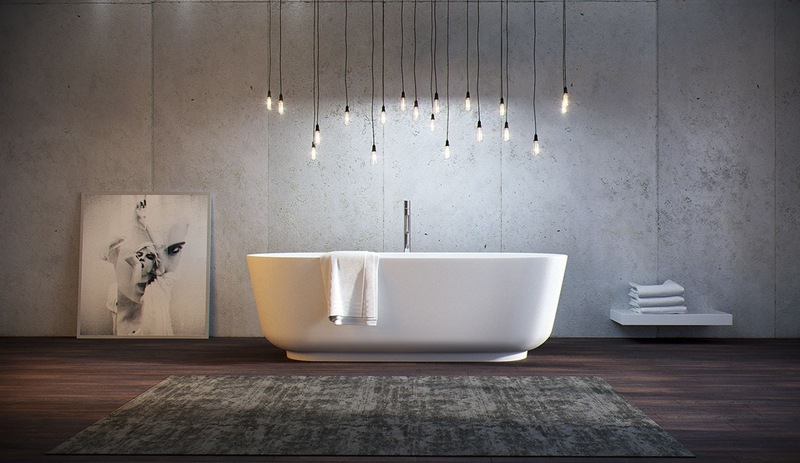 So dim the lights, put on some soft music, and sink into the tub of your dreams. Irresistibly smooth and balanced. 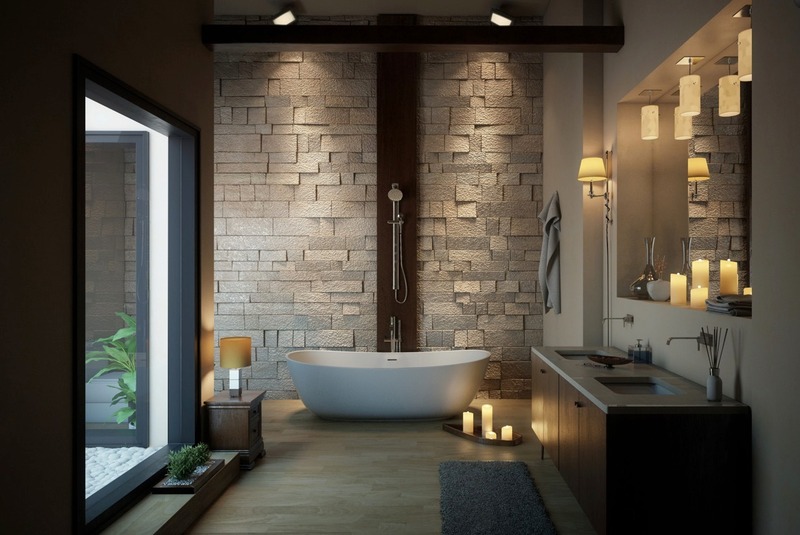 Fixtures centered on the wall of the tub can accommodate an occupant lounging in either direction. A subtle pedestal permits a lighter aesthetic than designs that rest on the floor. The slender faucet lacks any excess or ornamentation, allowing its graceful curvature to capture the spotlight. A separate feature holds the hardware and doubles as the perfect place to set a book or glass of wine – very usable, and a pleasure to look at. 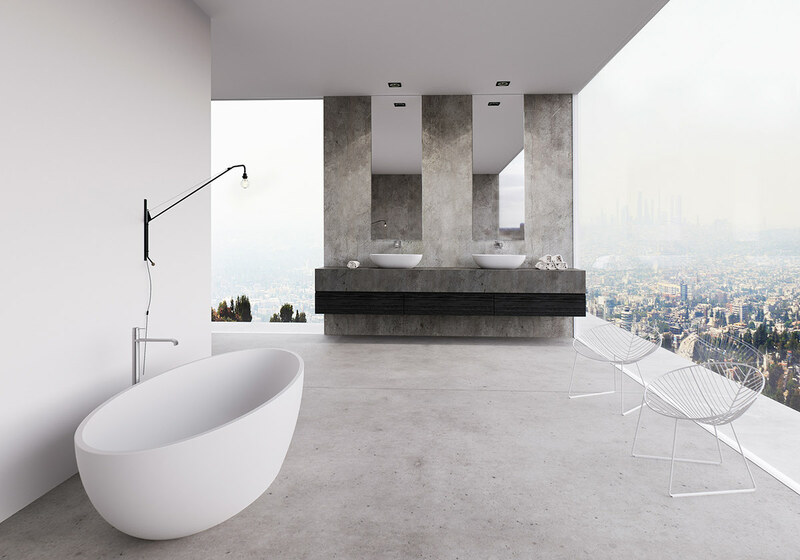 An ovoid tub is the crown jewel of any minimalistic bathroom. This design features a subtle faucet and overflow so the comforting shape can take center stage. 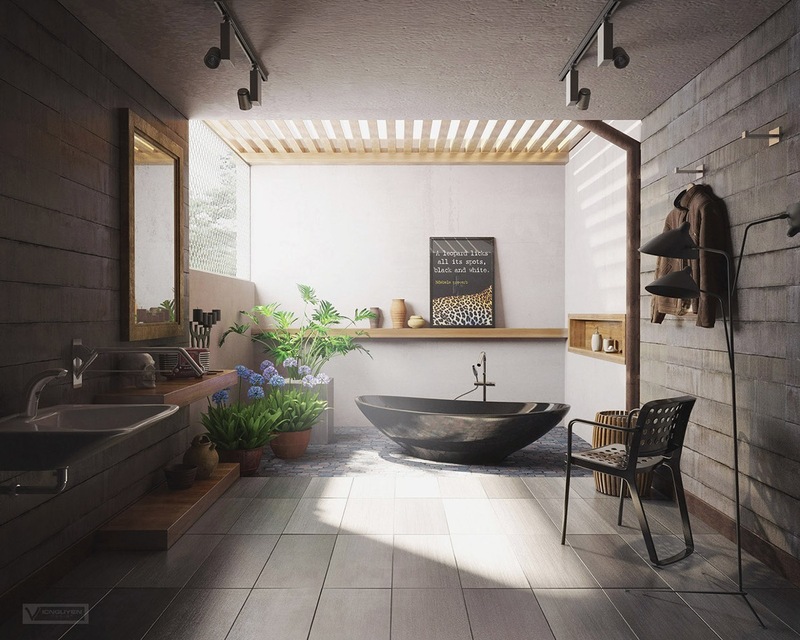 It’s easy to fall in love with this bathroom. This round tub features a slightly curled rim and a defined bottom edge. 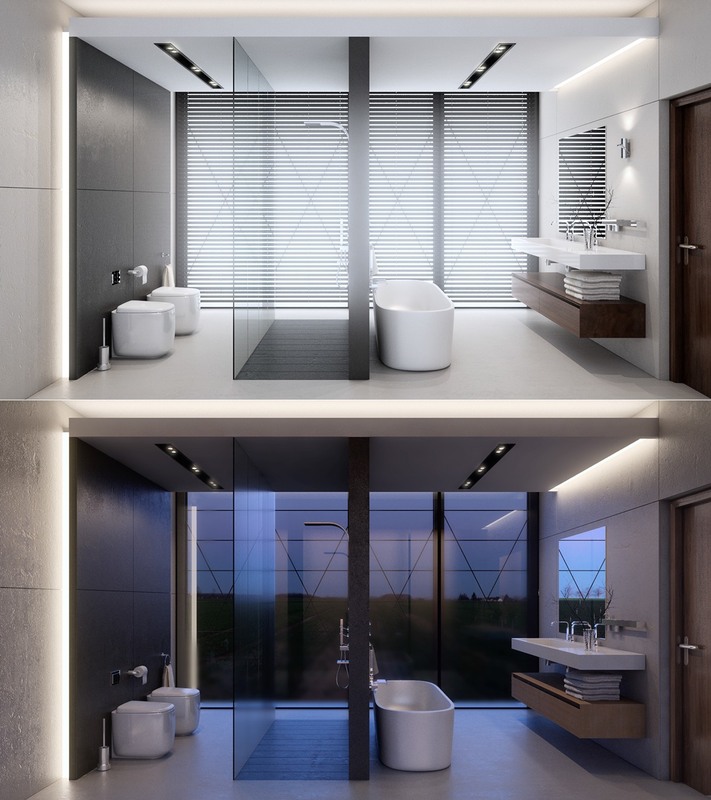 The smallest details make all the difference in a space characterized by its simplicity. 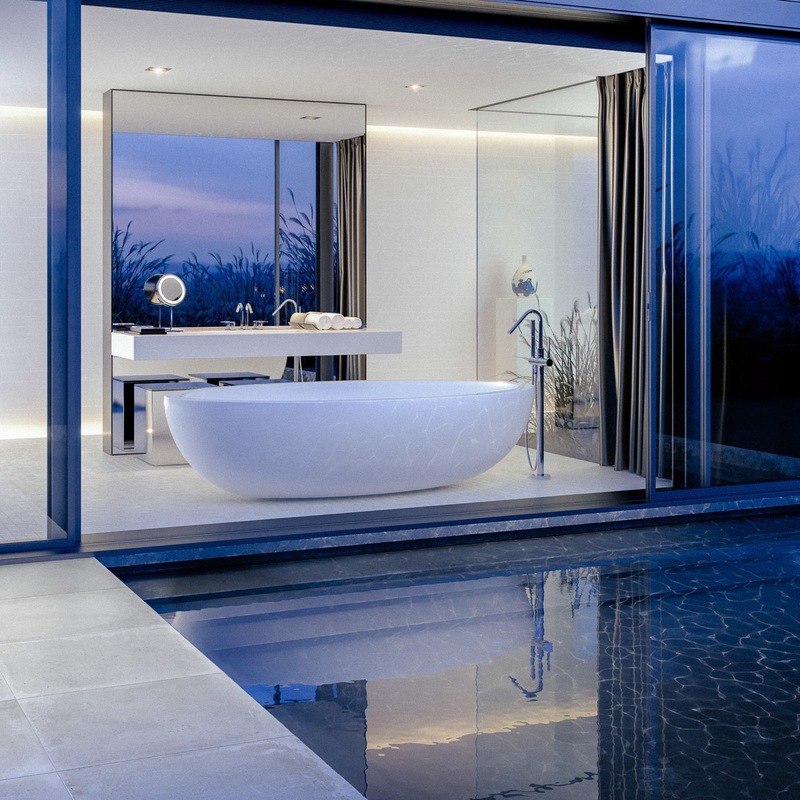 Perfect symmetry, illuminated by a whimsical hanging light arrangement that drenches the occupant with a soft glow. 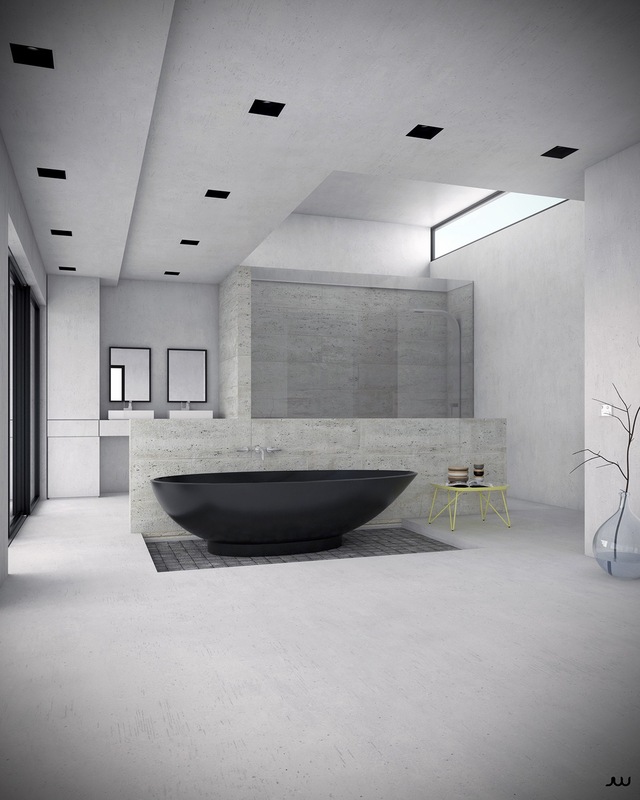 The smooth satin finish makes this black freestanding bathtub a delight to behold. 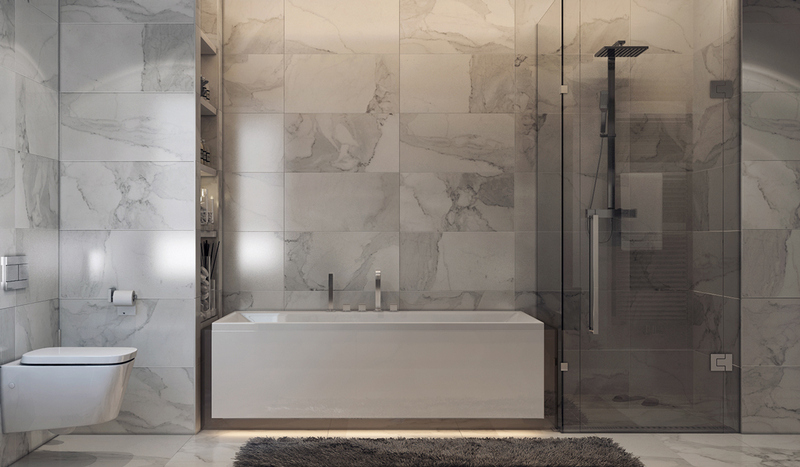 The slightly recessed tile underneath is an especially inspiring touch. 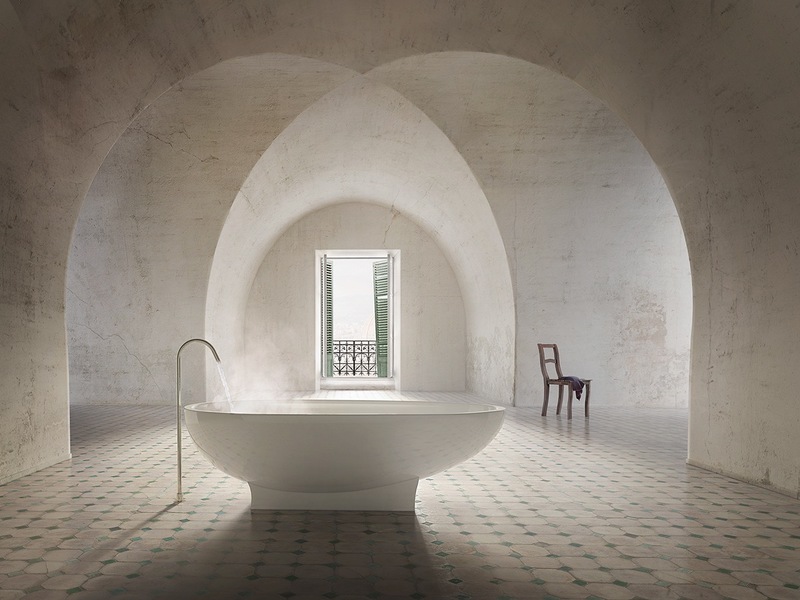 A bathroom as bold as this one certainly deserves a truly distinctive bathtub. 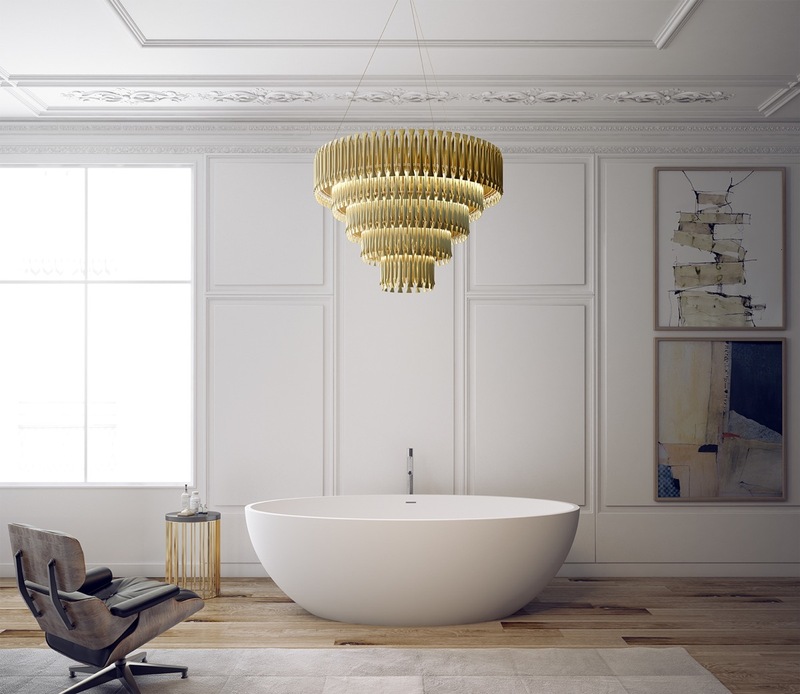 The Cuna tub, by Patricia Urquiola, is braced with a tubular bronze frame for a sense of structure and elegance. A delicate balancing act with intriguing proportions. 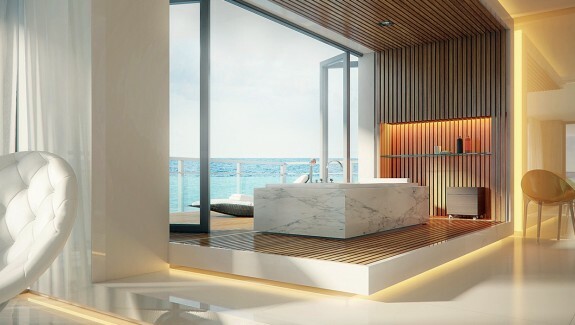 Sculptural and unforgettable, the Petali Bathtub offers a unique approach to bathroom design, where the tub is the centerpiece and a work of art as well. The space underneath each petal could easily accommodate a small bookshelf or dressing stool. 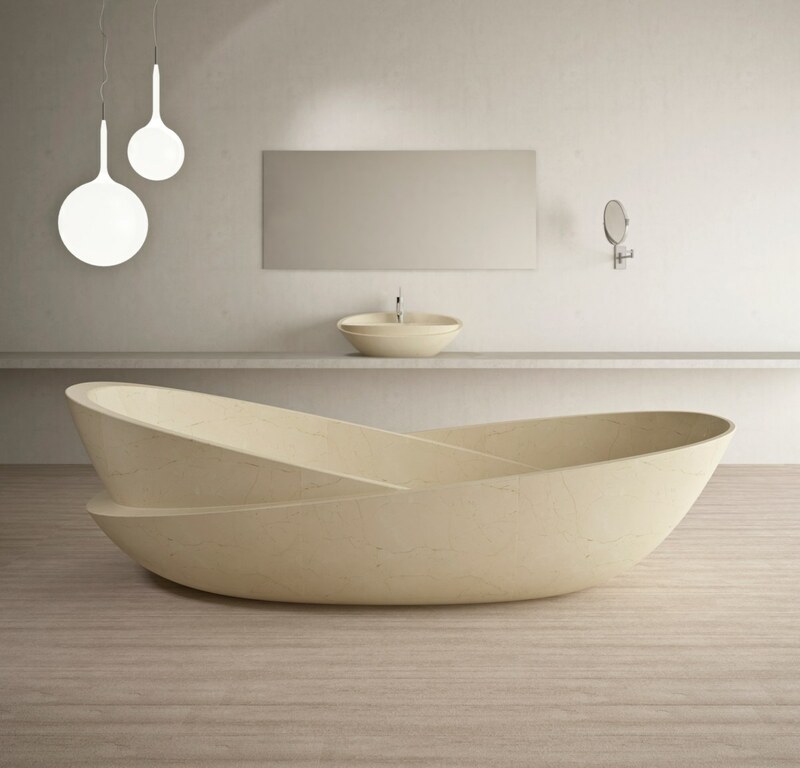 At first glance, the Ciotole Tub looks like two oblique basins, but this sculptural design is actually made from a single piece of masterfully carved beige marble. Clean lines for a casual space. The thicker rim on the outer edge looks functional, weighty, and visually appealing. A distinctive recessed setting allows the fine edges of this design to stand out from its beautiful alcove, rather than being hidden by it. 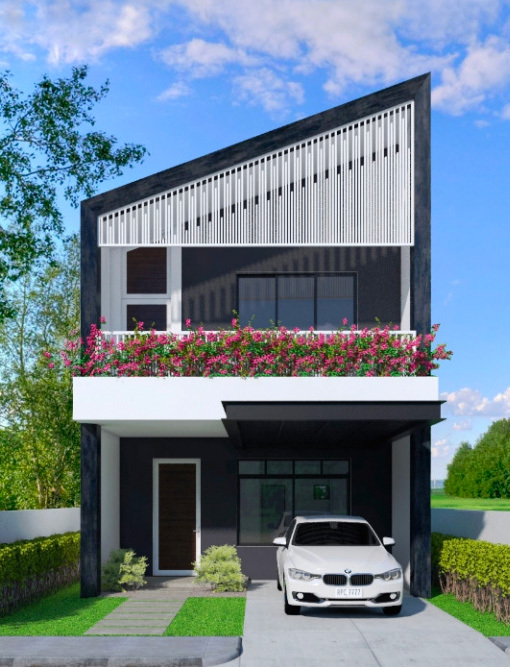 This minimalistic design has straight lines along the edges capped by gentle semi-circles that cradle the body – a sharp look with a soft touch. 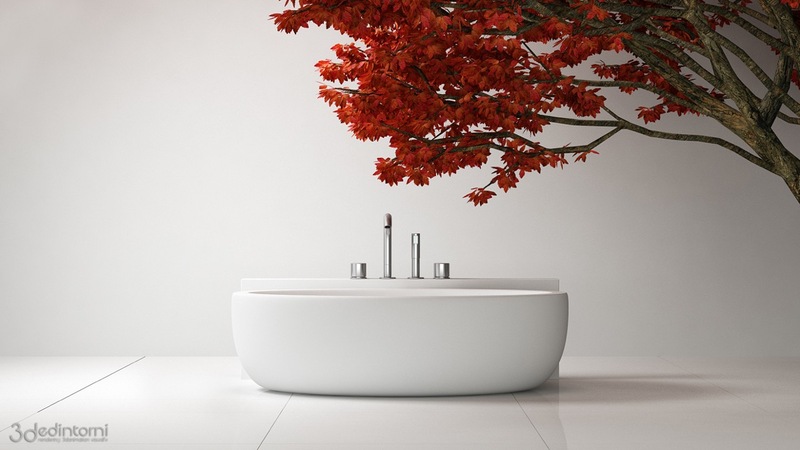 In its setting, this tub is fiercely beautiful, stark, and eye-catching. Here’s a contemporary take on the classic slipper style. 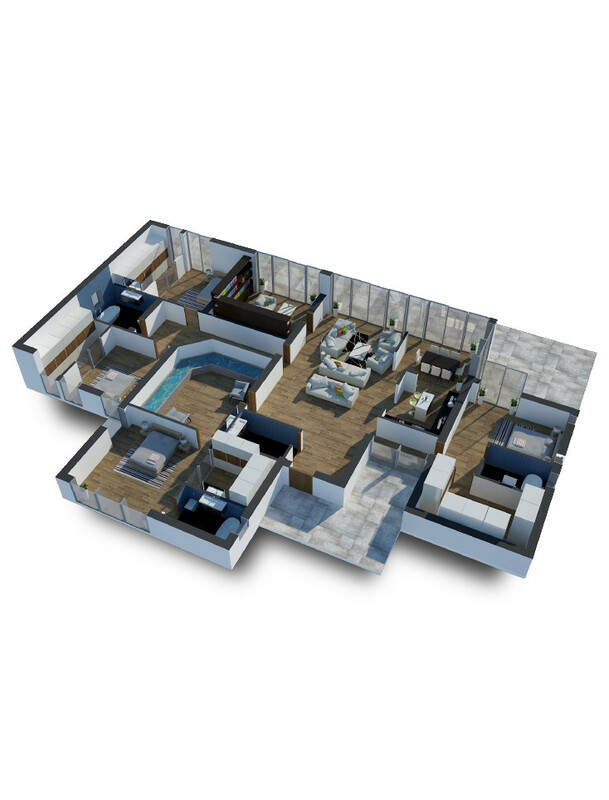 This unique design forgoes the traditional claw foot in favor of straight lines and contrasting angles. Sharp on the outside, soft and curvaceous inside – a fantastic paradox of geometry with unforgettable appeal. Compact form meets enormous creativity. 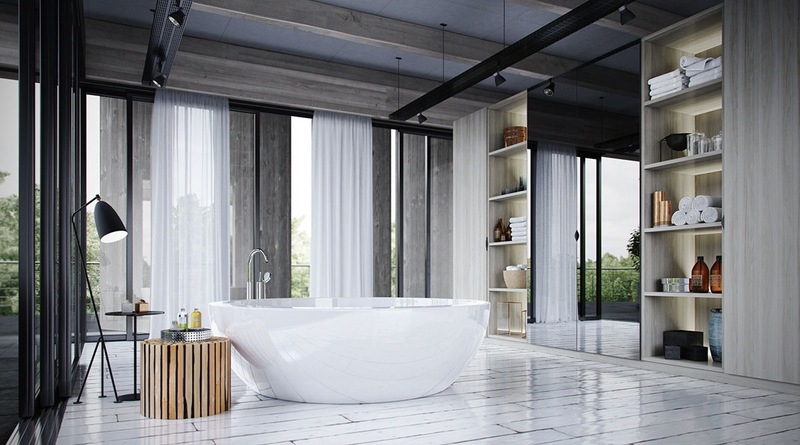 This tub is the perfect shape to cradle the upright body, perfect for those who don’t typically recline while bathing. It would look just as fabulous tucked away in a corner as it would displayed center stage. 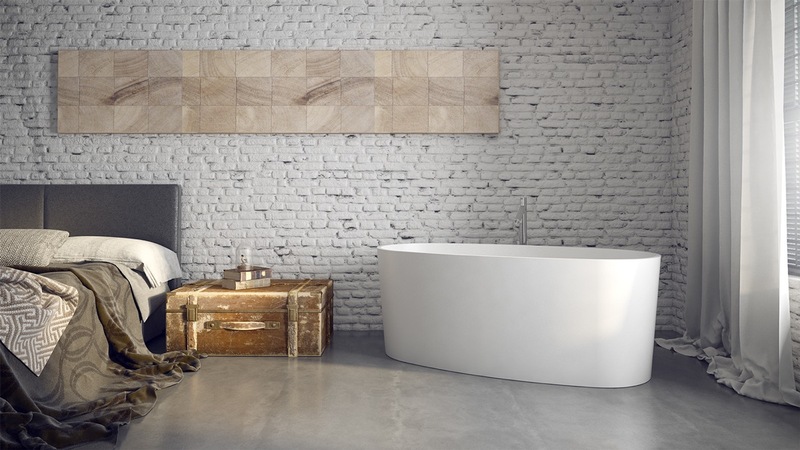 The tub walls stand tall and vertical for that all-encompassing experience – a must have for serious fans of soaking. 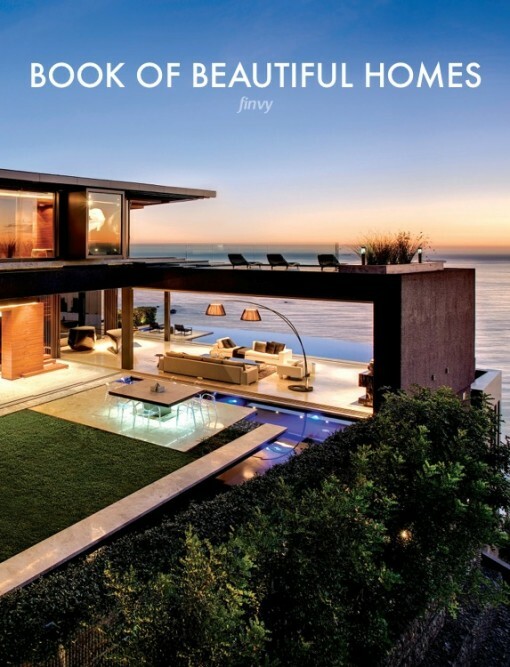 This design makes the most of dramatic contrast – very elegant. 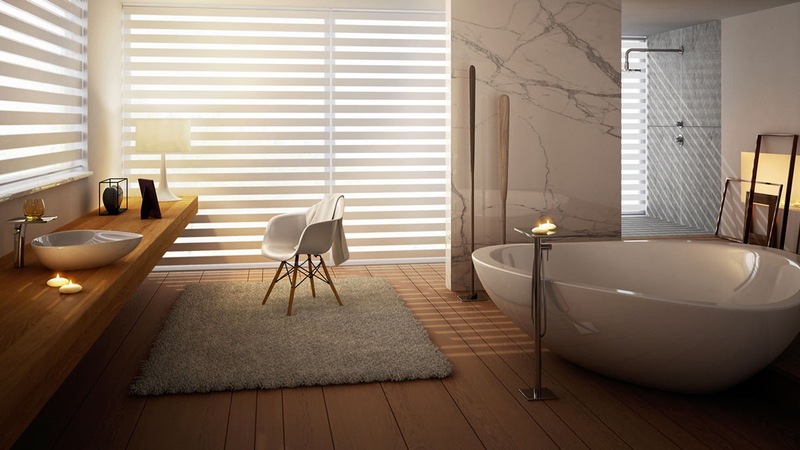 The marble platform looks luxurious and serves as a functional way to protect a wood floor from the water. 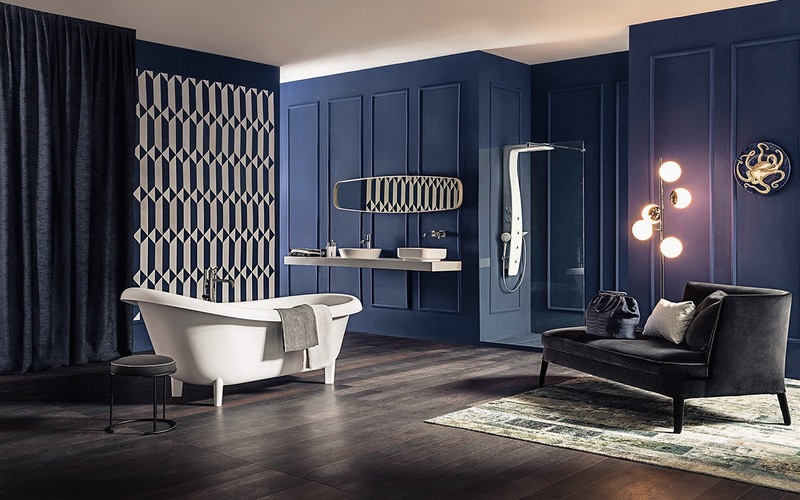 Matching wall and tub cladding creates a cohesive aesthetic without the need to search for perfectly coordinated fixtures. Dark and sumptuous, this smoky vessel shines with the same radiance as if it were carved from a smooth onyx stone. 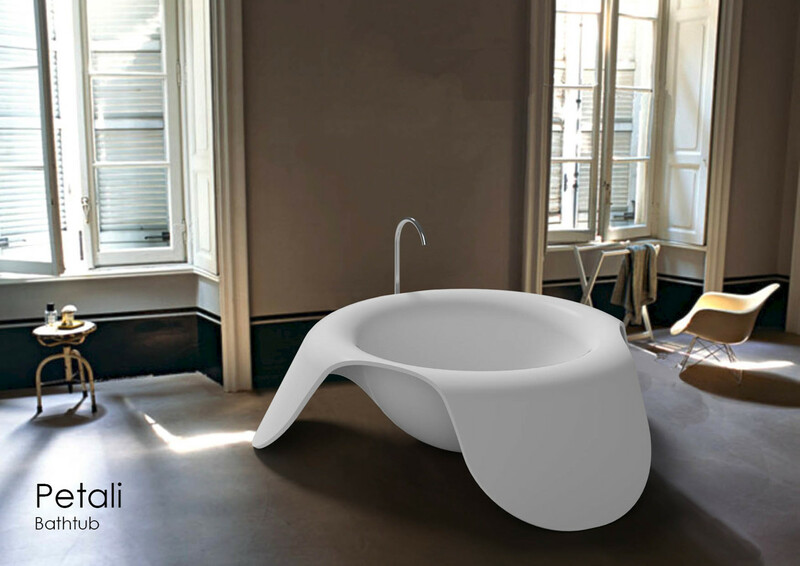 A delightful bath with a unique profile that proves eye-catching from any angle. The pleasing shape provides extra back support while remaining easy to enter or exit. 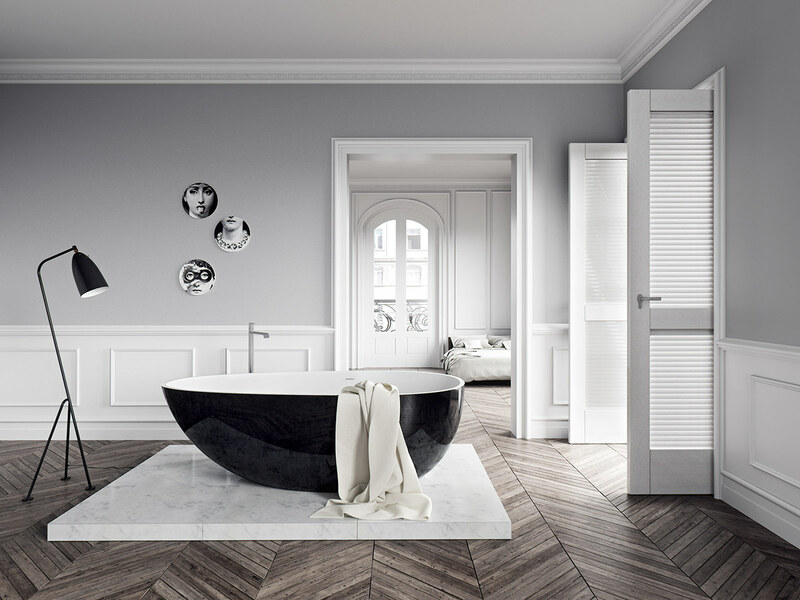 A smooth stripe of white swirls around a base of charcoal-colored veneer, echoing the dynamics of flowing water. 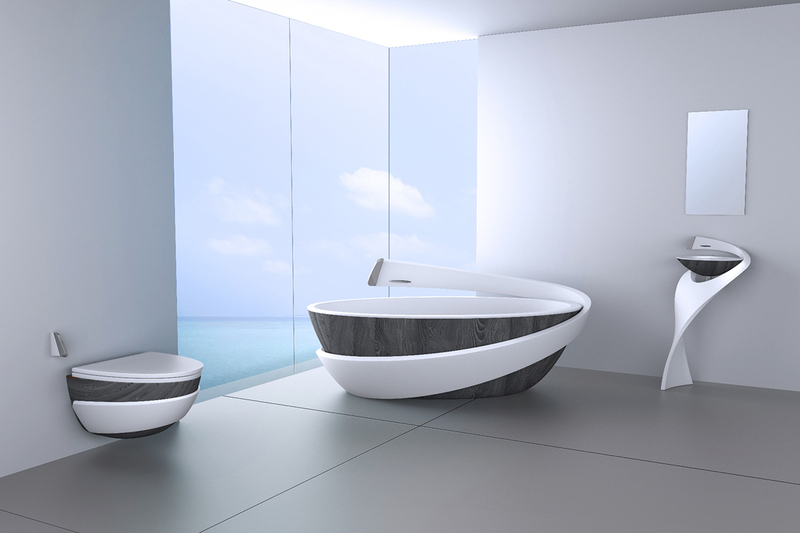 This modern bathtub design is part of the Salacia range from HJC Design. 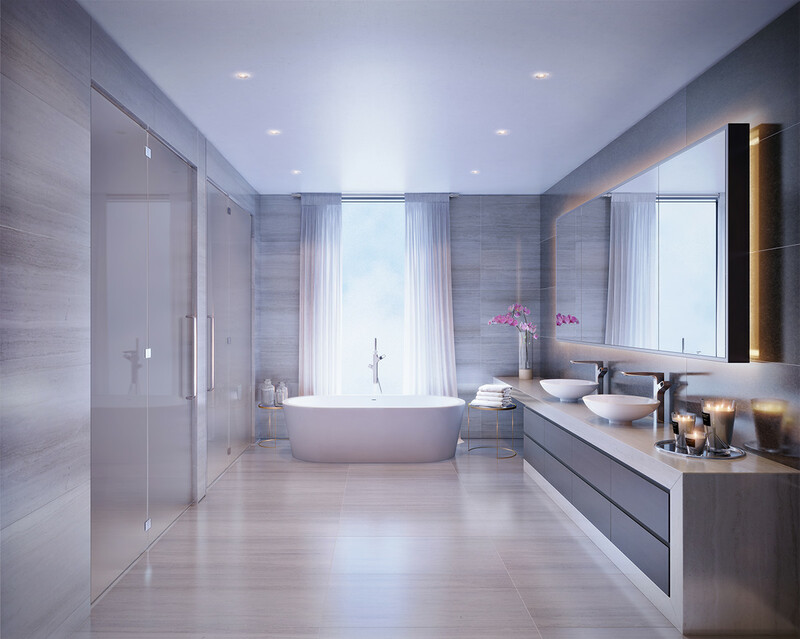 Pristine and refined – a minimalist bath this sleek can make you feel fresher just by looking at it. 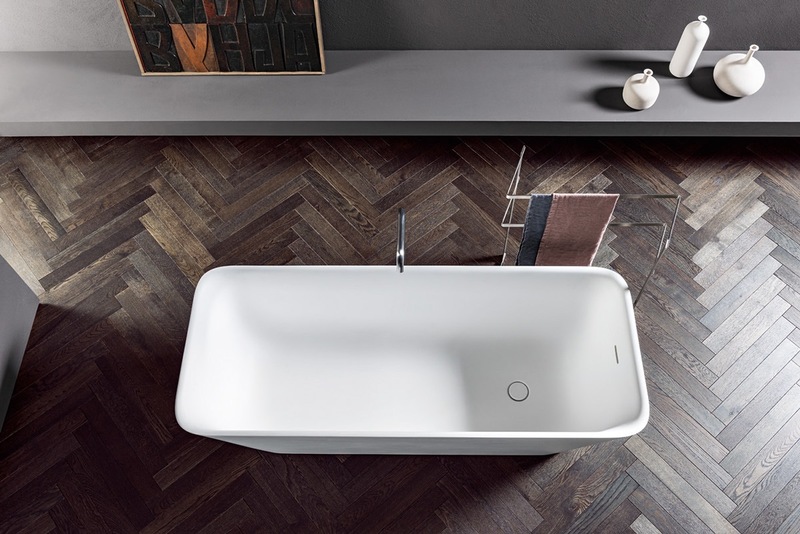 Slightly tilted edges give this tub a playful personality while providing extra support for the back. Simply dripping with luxury. 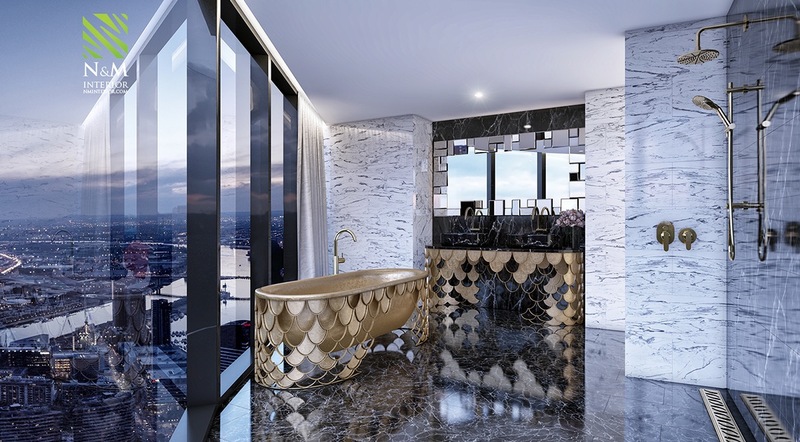 The scale pattern was once a staple of Art Deco design and here we see it re-imagined in a gorgeous contemporary setting. Slightly flared at the rim and perfectly smooth all around – this elegant design looks fantastic paired with those sleek vessel sinks. 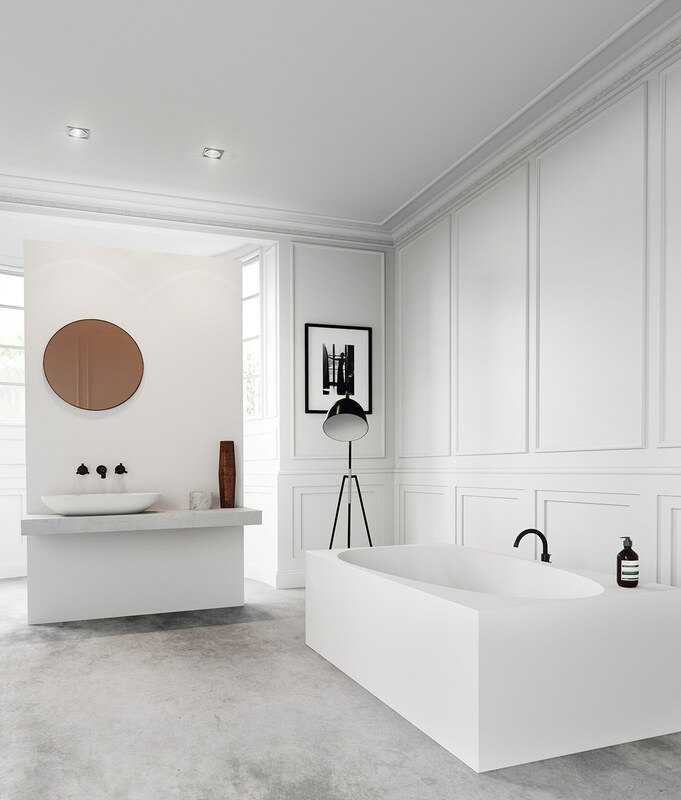 This spacious design is part of Jean-Marie Massaud’s Axor Collection. 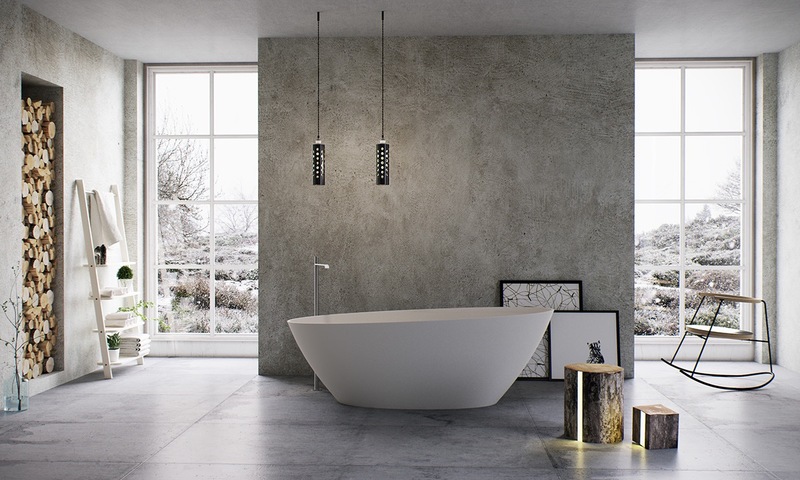 The rounded triangular shape looks comfortable and invokes a natural sense of tranquility. 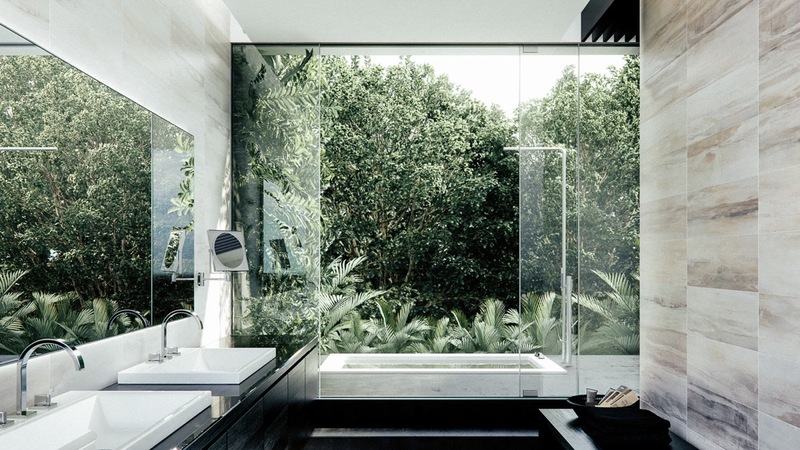 Lush greenery surrounding a recessed outdoor tub – this imaginative concept would invite many new ways to relax and enjoy the scenery. Sometimes details, such as smoothly integrated drain covers, can determine whether you simply “like” or truly love a design. 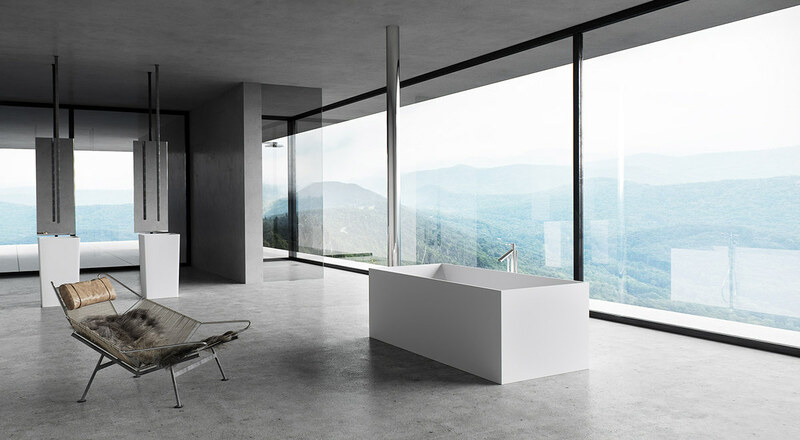 An incredible view for an incredible bathroom. Who wouldn’t feel like the king of the world, soaking up a view like this one? 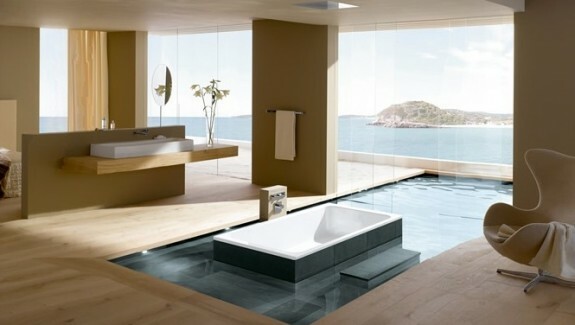 Another breathtaking bathroom concept, as long as you’re not afraid of heights. 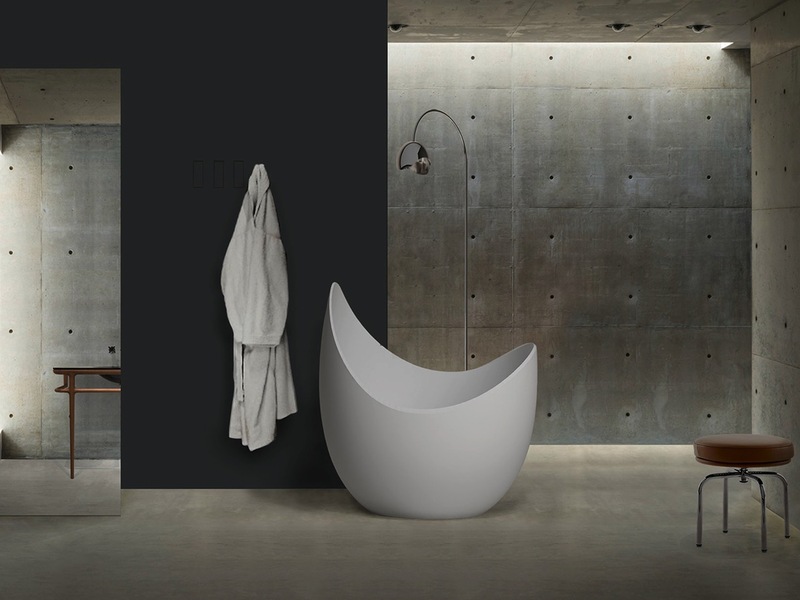 The balance of visual weight makes this egg-shaped tub especially exciting to view. 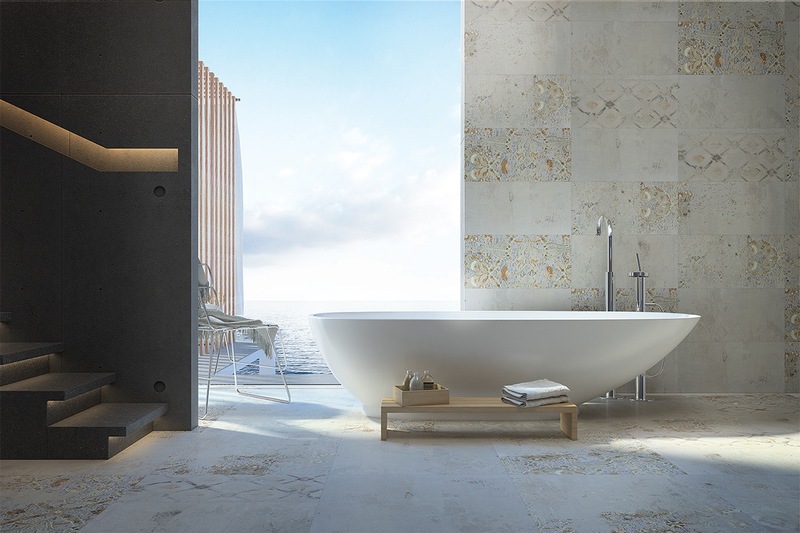 Organic, classic, and slightly rustic – the rich marbling and warm colors of the travertine stone invites relaxation. 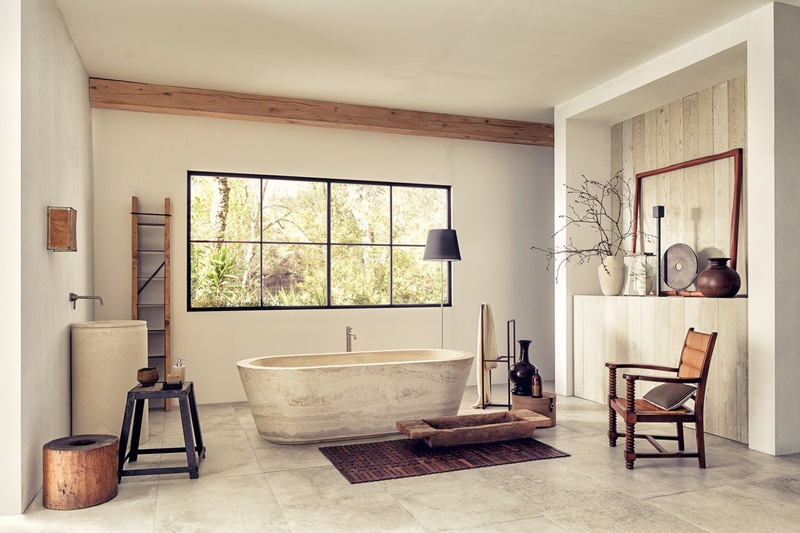 Travertine is especially well-suited for bathrooms because it’s formed over time from the mineral deposits left behind by hot springs.